MOOC is an acronym for Massive Open Online Course. The massive component can often refer to a class size of hundreds of thousands of students. The open part usually refers to the fact that MOOCs are mostly free of cost with no specific entry requirements to register for the course. The online component refers to the course being held entirely online which is the main reason why MOOCs are ‘massive’ and open. Access is easy and open to anyone. This doesn’t mean the quality is affected. The most well known MOOC platforms and courses are run by legitimate universities and colleges around the world. The large MOOC providers are well-known universities such as Stanford, Harvard, and MIT which are all based in the US. MOOC’s are considered a disruptor to the education system, however, it is intriguing that the disruptors are in fact also the disrupted. In many ways creating MOOCs is a way for universities to capitalise on the growth of the internet by setting their own standards of affordable and accessible online education before an outside disruptor else does it for them. The concept of the MOOC has evolved over the past few years since MOOC’s became more popular. Initially all classes were free and currently, the majority of them still are. However, the business model of MOOCs has now changed whereby you can now choose to pay to obtain a certificate of completion of the course. Paying students can have access to professors to provide feedback on assignments. All students are still able to undertake the classes for free as an ‘auditor’. This audit status means you don’t receive a certificate or personal assessment from course staff. You still have access to the same course material, however, you work through it at your own pace and without feedback on assessment pieces. MOOCs are different to general online courses and learning. There are many platforms to learn online including YouTube, Lynda, Skillshare, Craftsy, Udemy and private ecourses offered on an individual’s website. 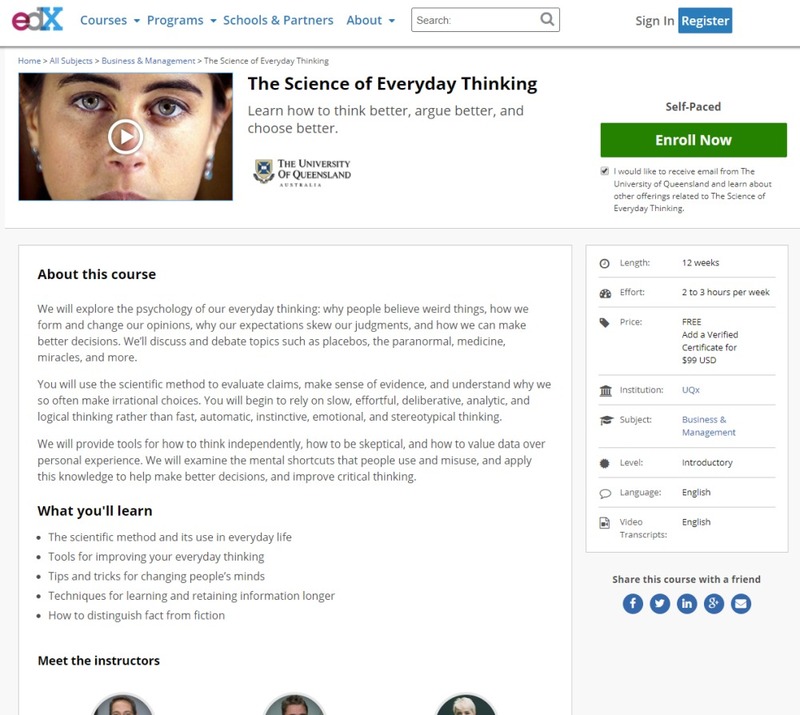 MOOCs are traditionally formulated on the basis of the university/college learning experience. The average course length of a MOOC is 4-10 weeks. You can pace yourself to complete the course on a weekly basis or you can complete your course in your own timeframe, whether that be 1 week or 20 weeks. To find relevant MOOCs for your interest, you can create an account at the most well known platforms and receive notifications of new courses. You can also sign up to aggregator websites that list available MOOC courses that can be taken across various platforms. 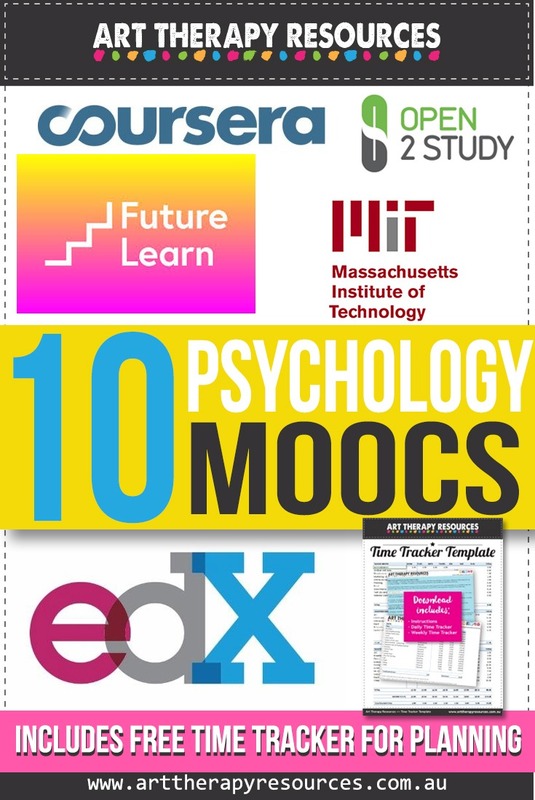 In this blog post, we’ve included links to 10 popular Psychology MOOCs. One thing to consider when signing up to a MOOC is the availability of access to your course material as each MOOC varies. Some courses are available as self-paced courses and can be joined at any time. Other courses are offered on a rotational basis, where each cohort finishes the course and then another round of the course begins shortly after the previous round has finished. Most courses are offered a number of times. If any courses you find are not currently open, you can usually sign up to be notified when the course becomes available again. For most MOOCs, you can start anytime and finish anytime. You can see from the course that the length of the course is 12 weeks. This refers to how the course structure is designed over a 12 week period. As the course is self-paced, you can choose to complete the course in a shorter or longer timeframe. You can also see on the right hand side that it shows the course is FREE, however, you can elect to pay $99 USD for a verified certificate. You can sign up to MOOCs using a variety of methods including your email address and password or connecting through your Facebook, Twitter or Google + account. Each MOOC provides its own options. 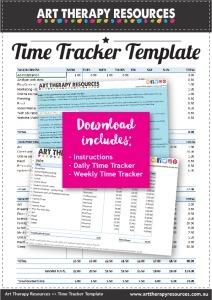 Download the FREE Time Tracker Template to help you plan your study goals.